Music is the most magic power to keep us motivated so that we are used to listening to MP3 music with iPhone iPad to kill time at the airport, on the train or during commuting, etc. To put MP3 music from our PC/Mac and latest music from our iTunes Playlist to iPhone iPad, we usually need to sync music to these devices with iTunes. However, the sync process is extremely inconvenient. How wonderful it would be if we could access the Music library stored on our computer and iTunes Playlist without sync. Thanks to the technology development, now we can remotely enjoy music on home computer or iTunes Playlist with iPhone iPad by streaming MP3 music to iPhone iPad via WiFi, 3G, and 4G networks. 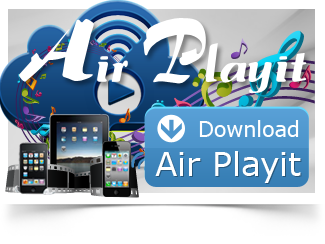 Here I recommend you a powerful music streaming application, Air Playit which is one of the ideal ways of streaming MP3 music to iPhone, iPad. There are some reasons why I recommend it. 1. Air Playit is totally free audio streaming program. 2. Not only support streaming MP3 music to iPhone iPad without sync, but also AAC, AIFF, WAV, etc audio. 3. Enjoy played music anywhere, even without network connection. 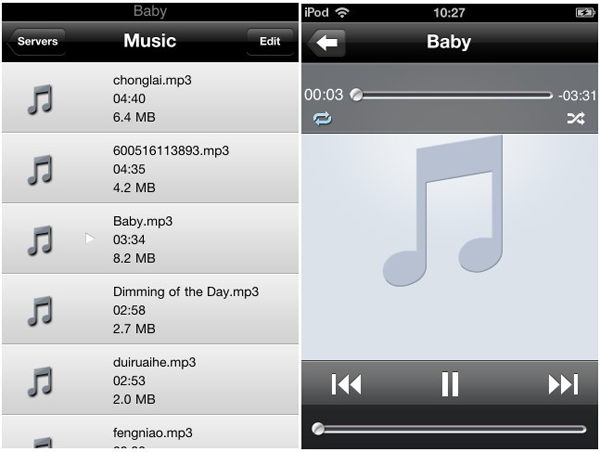 Air Playit can automatically cache the music when it is played on iPhone for the first time. Thus, you can play cashed music without downloading and network. So it is considerable practical to enjoy your favorite music when you are on the plane, on the train or bus etc. After figuring out the advantages of Air Playit, let's go to see how the application works on iPhone iPad. Below are tips of streaming MP3 Music to iPhone iPad. How to Stream MP3 Music to iPhone iPad with Air Playit? 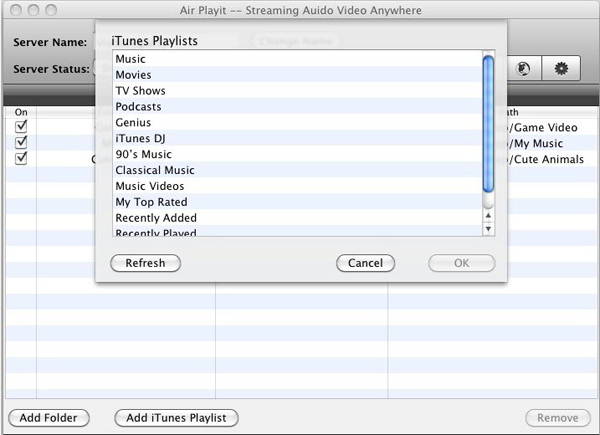 Step One: Run Air Playit server on your computer and add MP3 music by clicking "Add folder" or "Add iTunes Playlist" on Air Playit server. Step Two: Run client app on iPhone or iPad and choose your server. It can automatically discover local server by Bonjour Server. You may also add remote server by specifying IP address. Step Three: Select a MP3 music or audio file that have been shared by Air Playit server and play it. It will automatically stream MP3 music to iPhone, iPad when you are listening. 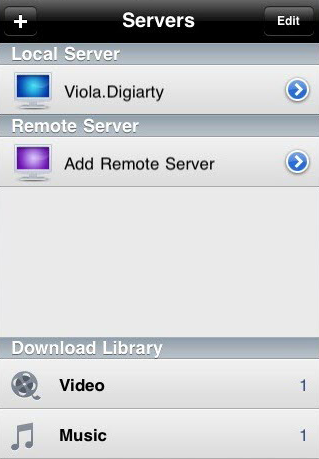 Besides streaming music, Air Playit is capable of streaming almost all videos to iPhone iPad iPod Touch. Go to http://www.airplayit.com/ to get more information of this software. This music streaming app is capable of streaming music/audio and iTunes Playlist to iPhone iPad from Mac OS X without iTunes syncing.